Masquerade eye mask is made out of lightweight durable molded plastic, lazer cut and handpainted with an aqua blue theme. Decorated with a plume of feathers. 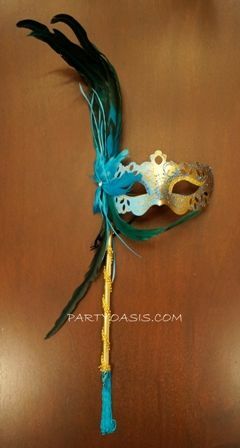 Easy to disquise yourself for a Mardi Gras celebration with the stick with tassel attached.